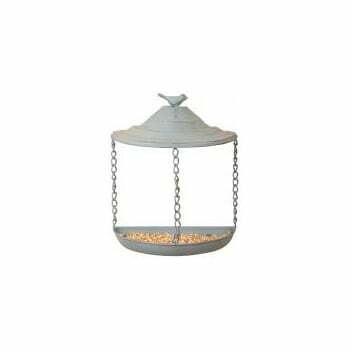 This grey metal wall bird feeder from Ruddick Garden Gifts is both stylish and practical. It fixes easily to the wall and the feeding tray hangs down from 3 chains. There is a small bird ornament on the roof of the feeder. Suitable for small garden birds.